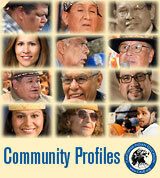 KUMEYAAY.INFO Turns 8 Years Old (2012)! There are a lot of educational and social services available for urban- and reservation-based Native American Indians (please see my EDUCATION, COMMUNITY, SOCIAL SERVICES, NEWS, ARTISTS, PUBLISHING, and BOOK LIST portals). Lastly, if you are seeking a Native American to speak at your school or event, please contact the TRIBE'S public affairs representatives directly. For KUMEYAAY-IIPAY PRESENTATION, please contact Karen Vigneault. 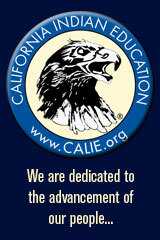 Like, Share, Comment on Facebook: "Kumeyaay Information Village" | "Baja Tribes" | "Indian Casinos" | "Mission Indian Federation" | "Tribal Sovereignty" | "California Indian Education" | "Famous Indian Chiefs" | "California Tribal Community" | "Native American Veterans" | "California Tribal Events"
BOOKS: "Survival Skills of Native California" | "Earth Pigments and Paint: Meaning and Technology"
(Webmaster, Music, Information, Research), World Indigenous Expert, WEBSITE, WEBSITE, BIO/RESUME.